The Best Made From Scratch Brownies are easier than you may think. In fact, you probably have all the simple ingredients you need in your pantry already! I’m a boxed cake and brownie kind of girl. I blame it on the fact that I rarely plan ahead enough to gather ingredients. I’m more of an I want brownies right now kind of person. However sometimes you just want to be able to sit back and devour a plate of something that came from your own 2 hands. No? Still just me? The best thing about this recipe is that I bet you have all of the supplies on hand and at the ready. No need to run to the store for a box! I had an epic brownie failure this week. And by epic I mean the whole pan went straight to the trash. I didn’t even force taste testing on my family. The good news is that there really is beauty from ashes because this recipe followed. Anyway if you want a go-to brownie recipe I have just the right one for you to try. These are moist and fudgy and the flavor gets better the second day. I topped mine with an nontraditional Milk Chocolate Honey frosting- feel free to skip the frosting if you are crazy. 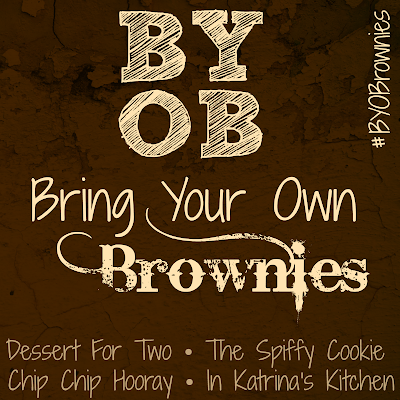 A few weeks ago I mentioned on Twitter that I wanted to have a #BYOBrownies party…wouldn’t that be the best party ever? I was surprised that people were actually listening and wanted to join in on the fun. Oh how I wish this were the real deal but it’s the next best thing: Virtual Bring Your Own Brownies Party!! You’re not going to want to miss these! 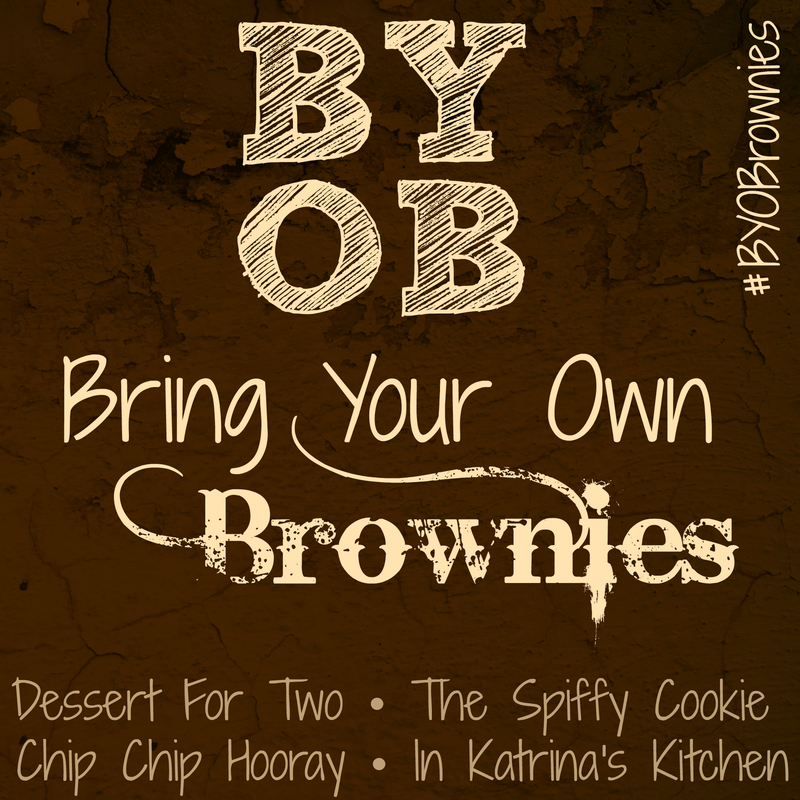 If you are a blogger I hope you will join us this week and share a new favorite or old standby brownie recipe using the hashtag #BYOBrownies. Preheat oven to 350F. Butter the bottom and sides of a 9 by 13 inch metal baking pan. Put a long piece of parchment paper in the bottom of the pan, letting the parchment extend up two sides of the pan and overhang slightly on both ends. Butter the parchment. In a medium saucepan over medium heat, melt the butter. Remove from heat and add the sugar; stir to combine. Beat in eggs and vanilla until combined. Mix in cocoa, baking powder and salt. Add flour and stir until just combined. Pour into prepared pan and spread into an even layer. Bake for bake 25-30 minutes. Let cool completely in pan on a cooling rack. While the brownies are cooling, make the frosting. Beat butter, hot fudge sauce, honey, and vanilla until blended. Add powdered sugar and beat to desired consistency. Chill to set the frosting until ready to serve (if desired). Holy wow! Milk chocolate honey frosting?!! These look great!! I'm totally beyond super guilty of being a cake mix girl. 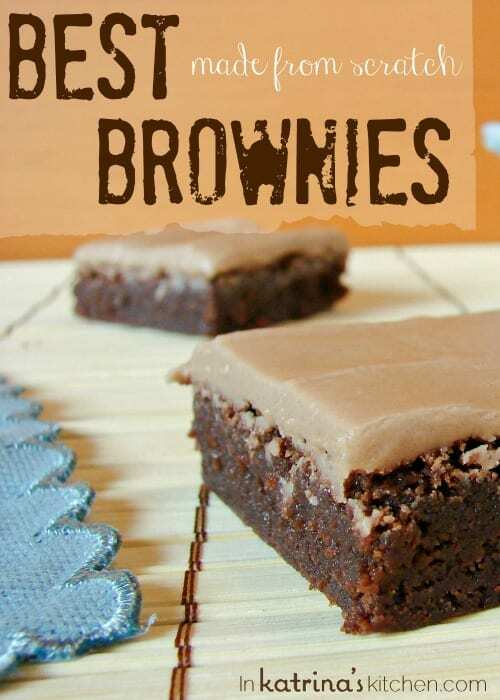 Anything in a box mix screams "I am easy and now you have more time to online shop, you're welcome" and I listen to the voices of boxed mixes, soooo… Anyway, these brownies look phenom! So fudgy and delicious. Love BYOB week! My recent post Wicked Witch Cupcakes– Halloween Week! I love your portion control…just the size I like my brownies to be:-) And honey and fudge sauce in the frosting…I just want to eat it straight from the bowl!!! That frosting sounds wonderful! You're so right…sometimes the best recipes directly follow a kitchen disaster. I'm so glad one of us made an actual brownie haha. 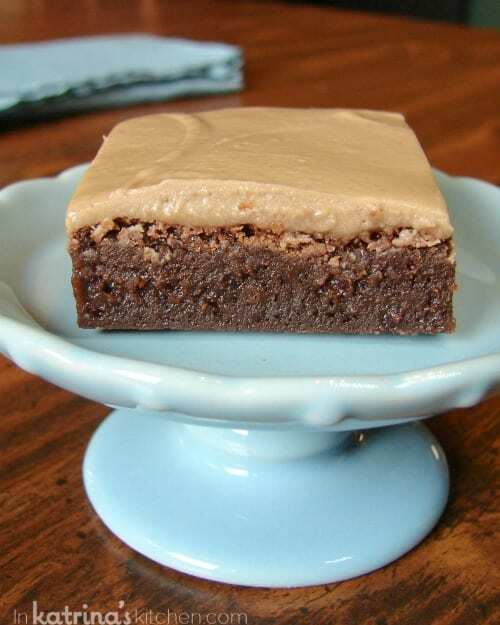 And a great recipe to have too, I am always looking for a good from scratch brownie instead of using the box. These look perfectly dense and chewy, my kind of brownie! I love new brownie recipes, can't wait to try this one. These brownies look so freakin' good! And that frosting is to die for!! I'm with you – totally a box girl but I want to lick that frosting. Mmm. I do not doubt you AT ALL that these are the best brownies EVER. I can't believe I missed out on the party! Maybe I can get some brownies whipped up tonight! These look delicious – I love the frosting! Yuuuum! Just tweet a recipe with the hashtag and you're in 🙂 Share an oldie…I know you have some brownie recipes in there!! So glad these are not from a box. I cannot have chocolate because I get major migraines from it. The darker the more severe. I have to break my willpower with these. I'll take three motrin eat a brownie and pray I don't end up with a migraine. Love brownies!! My all time favorite dessert! What a great frosting to put on them too! Looks great Katrina! So glad you found a great recipe you enjoyed. Brownies are always a hit around here, I'll give them a try! I've always had trouble with scratch brownies… they never seem to turn out quite as fudgy and delicious as I think they should. I've been on the hunt for the perfect fudgy but not too gooey brownie! I'm for sure trying this one! how much corn syrup in frosting? Also how much cocoa in frosting…? wonderful. I use a few Lightroom presets to maintain some uniformity throughout my own. Would love to know what they are so i can try this one 🙂 Thankyou for your time. Hi Kathryn, my apologies- the recipe instructions have now been updated. I had retested the recipe again with hot fudge sauce and honey in place of the cocoa and corn syrup. I forgot to adjust the instructions to match the ingredients list. What you see is now correct. Thanks! Mine came out dry, I followed the recipe, I don’t understand why they didn’t come out like the picture that looks so moist….What did I do wrong? These look awesome! I’m probably going to make them for Valentine’s day. Silly question…do I use salted or unsalted butter? These are awesome! I used 1/2 cup of butter and 1/2 cup of applesauce instead of 1 cup of butter. It made them not as chewy as tipical brownies, but still yummy. Then I topped them off with dark chocolate fudge frosting and dark chocolate and peanut butter chips! So great to hear it! I love lightening up my favorite recipes too! And these brownies are so versatile. I’m glad your family loved them as much as ours does! Brilliant work Katrina! 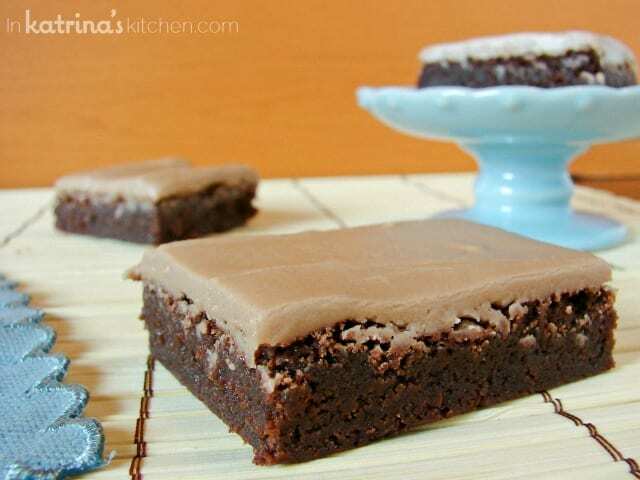 I love the simplicity of these brownies, not to mention the great taste. My favorite part? Mixing everything in the one pan, which led to fewer dishes to wash. I used a large non-stick saucepan when I tried this recipe yesterday for the first time. When I went to pour the batter into the pan, everything slid right into the brownie pan. I didn’t even need a spatula to scrape the saucepan, which meant nothing left behind. Loved that too. Is it self raising or plain?